The 13th Homeless World Cup kicked off in spectacular style in Amsterdam Saturday, after being opened by King Willlem-Alexander. The tournament, which uses football to tackle homelessness, will feature over 500 players from 48 nations over the next seven days. 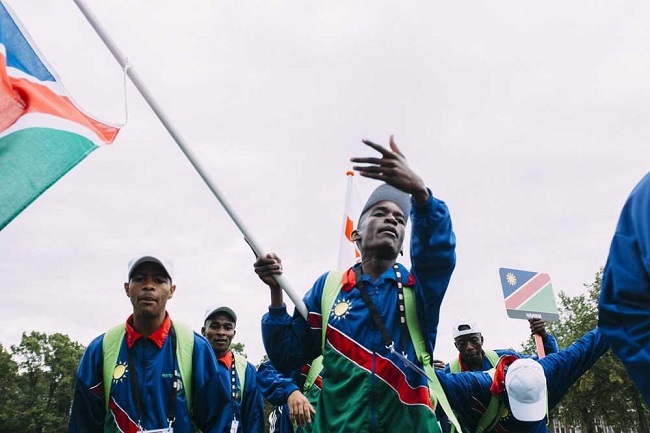 The event started with the players marching and dancing their way through an opening parade that wound through the square before Homeless World Cup co-founder Mel Young declared the tournament open. Young, Salvation Army board member Henk Dykstra, Mayor of Amsterdam Eberhard van der Laan, and King Willem-Alexander then tested the host nation goalkeeper’s reflexes in a penalty shoot-out, which the king won with a crowd-pleasing shot on his second attempt. 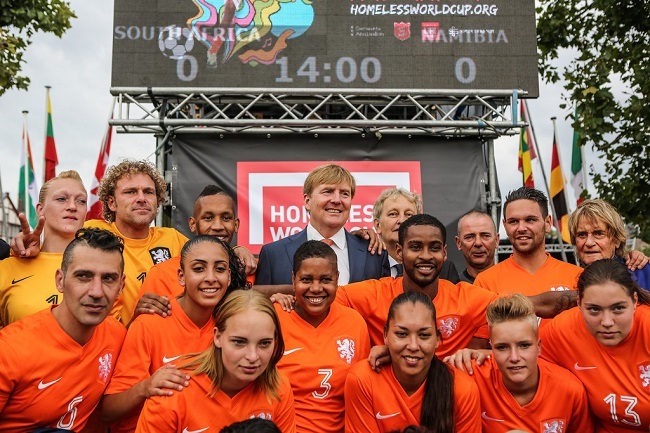 The Homeless World Cup will run at the Museumplein until Saturday, September 19. Meanwhile, when the Homeless World Cup kicked out in Amsterdam it had 48 participating nations instead of the planned 49. Team Nigeria, selected by the organisation’s National Partner in Lagos, have been denied visas by the Dutch government at the last moment. The team of 8 players and coaches and managers had to apply for their Dutch visa to the French embassy in Lagos, as there is no Dutch embassy there. After the French refused to issue the team with visas, the Homeless World Cup organisation asked the Dutch ministry responsible to issue the team visas on arrival instead. Although technically possible, the request was refused yesterday. The Homeless World Cup offers homeless and marginalised people a hand-up to a better future. 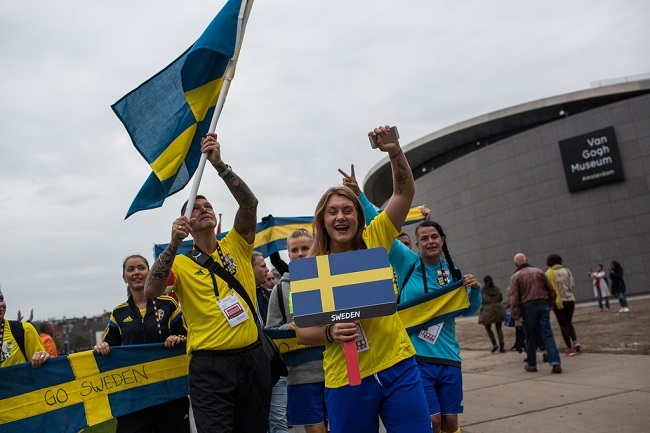 Since its first event in 2003, over 1 million players in 74 nations have used football to build self-esteem, improve their physical and mental wellbeing and ultimately change their lives. Over 70% of participants experience a significant life change – they come off drugs, alcohol, get jobs, homes, education, training, become football players, coaches and social entrepreneurs.